There are more people deciding to go solar. Installing your own DIY solar panels can be a lot of fun. If you are new to the process DIY solar panel books and online resources can be a great help. They can be an excellent guide to installing your own panels. Having the know-how can make all the difference to a successful solar system. We will take a look at some great DIY solar books to help you get off the grid. The Solar Electricity Handbook is an excellent DIY solar panel book if you are planning on installing and designing your own solar panel system. It offers a step by step guide to creating your own system from scratch. This book takes you through how solar energy works and the practical applications it can be used for. Photovoltaic Design and Installation For Dummies is another good book on all aspects of home solar. It will take you through installation, design and physics of a home solar system. You learn the mathematical formulas needed to calculate the proper energy requirements for home solar. This book can also be used as a study guide if you are planning to take the NABCEP exam. Build Your Own Solar Panel: Generate Electricity from the Sun is a book for those looking to build their own Photovoltaic panel. This book shows you what tools and supplies you will need to make your own solar panels. You will also learn how to fix a damaged solar panel when you need to make a quick repair. DIY Solar Projects eBook offers a look at several types of solar applications that can be incorporated into your home. It shows you some of the carpentry aspects of building a solar system. There are many detailed pictures and examples of different types solar systems like solar cookers, hot water heaters and hot air collectors. 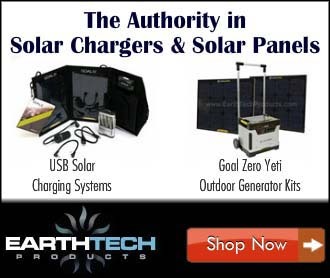 This book also explains the skills and tools needed to accomplish your solar system setup. The Enerfy2green Wind and Solar Power System eBook takes you through the whole process of designing and installing a solar and wind-powered system for your house. In this DIY solar panel eBook, you will learn how to make a solar panel system in an efficient and cost-effective way. The designs are simple and straightforward. The materials are readily available. You can start generating your own solar and wind energy using this easy to follow eBook. The Solar Power Design Manual will teach you how to design a stand-alone solar panel system. It offers helpful pictures and examples. You will learn the how to calculate the size of the system you will need. This eBook comes with an Excel and Open Office template that will do the calculations for you. It also offers recommendations on energy efficient appliances to pair with your solar system. The DIY Solar Water Heater eBook will show you how to build and design your own solar hot water heater. This eBook offers several different options and plans to customize your build. Solar hot water systems produce clean, non-polluting energy. Most of these systems are inexpensive and can be built using materials from your local hardware store. You can potentially save 1/3 on your electrical bill each month. These DIY solar panel books are good guides into building a working solar system. As you can see, getting into solar living is possible with a little knowledge. All of these books can get you started on living the solar life.